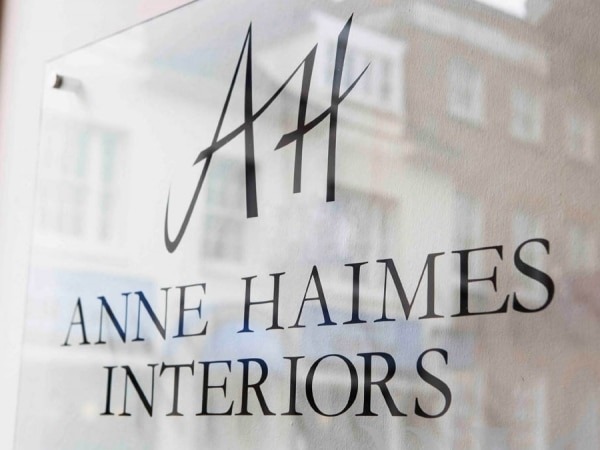 Anne Haimes Interiors provide a personalised and complete interior design service. Anne understands that approaching the decoration or re-decoration of your home can be daunting, she believes that design should be accessible to everyone and be a fun and rewarding experience. Anne and her team work tirelessly to ensure both your aspirations and your budget are met. From her base in Henley-on-Thames, she serves clients across Oxfordshire, Berkshire and Buckinghamshire, as well as locations further afield across the country. The retail shop on Bell Street in Henley displays an ever-changing mix of carefully selected furniture, lighting, mirrors, bedding, scents and accessories, together with exquisite displays of beautiful fabrics, wallpapers, throws, cushions and many one-off pieces. In addition, Anne Haimes Interiors offer a personal shopping and sourcing service together with wedding and wish lists. In the Press Anne Haimes interior design service and boutique feature from time to time in a number of chosen interior design magazines. Here are a selection of articles we’d like to share with you. Anne lends her thoughts on the hygge trend in British Style Society. Family life can be hectic, so it’s important to create a home that all the family can relax in. A spacious, homely bathroom can make all the difference, especially when travelling. Anne Haimes discusses the design benefits of a big rug, which can create an unexpected focal point, when used in the right space. She has also helped discuss the ‘worst décor mistakes to avoid’.